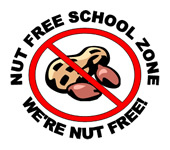 Please note: For the safety of all children we are a nut-free school. Free milk is available to all children up to their fifth birthday. We are part of the Milk for Schools Scheme so milk can be ordered from School Milk Services Ltd for older children. Telephone: 01934 510950. We sell tuck from the dining hatch at playtime; (10p slice of toast, 15p for fruit, 35p hot chocolate (Winter only) or Milk shakes (Summer only), Smoothies 60p, Croissant and Jam 35p) Children under the age of seven can also take advantage of the Government’s Free Fruit and Vegetable Scheme. Children are also encouraged to bring water bottles to school for use during the school day. We have an experienced team of Lunchtime Supervisors who look after the children at lunchtime and the duty teacher is always on the premises. If children go home for lunch, they must not return before 1.00pm. If it is wet, children are supervised indoors. Packed lunches should be brought to school in a labelled container, with a leak-proof drink, in plastic bottles or a carton. Water is provided but some children prefer to bring their own. We encourage you to provide a healthy lunch and sweets are not allowed. Parents and carers can now apply for free school meals online via the Citizen Portal, using the link below. Your eligibility will be checked online, and the portal will let you know whether your child is eligible for free school meals. If your child is eligible you will receive a confirmation message, and the school will be notified directly. If you are not eligible you will be presented with a message stating this. Please note, if you have already completed a primary or secondary school place application for the 2017/18 academic year via the portal, you do not need to re‑register when applying for free school meals. Please use the login details that you have already set up. In addition to the school dinners menu we offer a daily alternative to the published menu in the form of either a wrap plus the potato option of the day or a jacket potato with a variety of fillings. This costs £2.00 as usual and will also include a yoghurt or the dessert of the day. These items must be ordered in advance and the form handed into school on a Monday morning with the week’s dinner money as usual. Download an order form: Wrap and Potato Order Form or collect one from Miss Anstice in the school office.